Cell Phone Holder for your bike or car. Suitable for iPhone 6 Plus. Anytime, anywhere your phone at hand, also handy for your motorcycle or in the car! Anytime, anywhere your phone at hand. The cradle for the iPhone 6 Plus is easy to use. You can slide your phone in the cradle while holding the clamp holder on top of the back, when the phone is properly placed into the holder, release the clamp on top of the container again and now the phone is clamped. 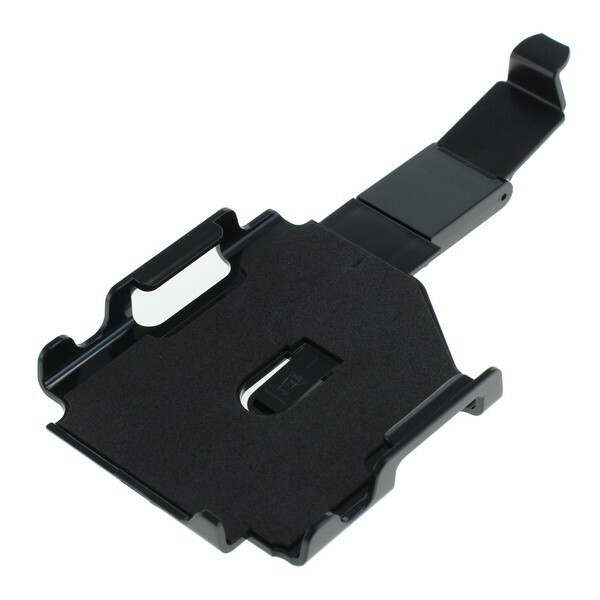 If you want to take your phone out of the holder, hold the clip on the top back to the back and slide your phone again. Please note that the holder is only compatible with the iPhone 6 Plus. We have different fasteners: for on your bike or motorcycle and for the car. When you go to order you can select different combinations.